Such recent events as the death of the Auschwitz survivor Elie Wiesel, and the ‘last great war crimes trial’ of John Demjanjuk, typify the changes that are taking place in how the Holocaust is remembered and represented as it passes out of living memory and into history. 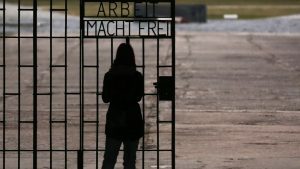 At the same time, contemporary technological developments enable new means of transmitting and preserving survivor testimony, while recent Holocaust historiography has drawn on newly accessible archives that allow for research outside the conventional focus on the camps and ghettos of Nazi-occupied Poland. This network will analyse the implications of these changes for the ways in which Holocaust memory is conceived and taught, in relation to practices and locations where different histories overlap. These will include examining the potential offered by digital and virtual memory; former colonial nations where memories of different kinds of atrocity intersect; and border areas in which legacies and identifications are contested. The network is timely in terms of its overall theme, and in relation to contemporary events. Issues of trauma, the dangers of racism and the concept of nation are at the forefront of current government and funding council concerns, in the context of a post-EU Britain and the international refugee crisis. These areas draw on the complementary expertise of the six supervisors, who are specialists in Holocaust testimony, music and theatre, French Holocaust history, literature and film, twentieth-century European history and Holocaust literature. The wide range of sources and material available and the comparative nature of each case-study means that students can develop projects following their individual strengths and interests.